This collection of lighted wall clocks are loving tributes to the classic eight cylinder V engine that might be out of production but has still managed to stand the test of time. 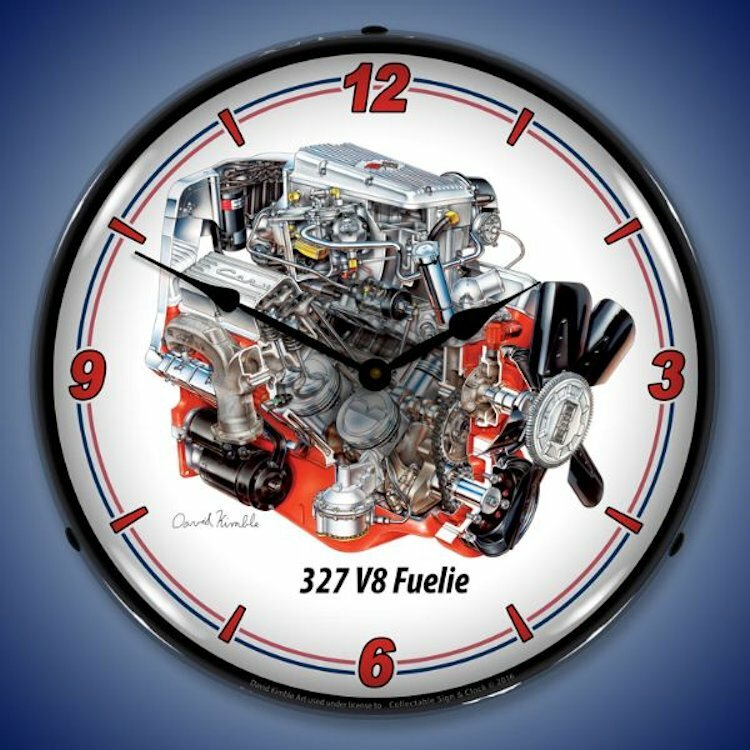 Each of these V8 engine clocks features a highly detailed cutaway of a beautiful V8, lovingly painted by hand, all classic pieces of original art by David Kimble. 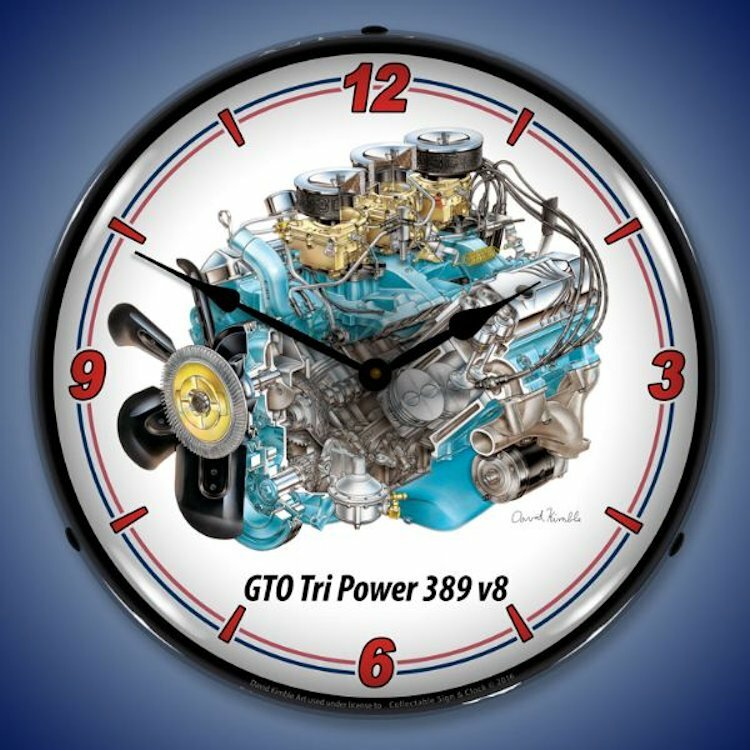 Kimble is no stranger to enthusiasts and readers of mags like Motor Trend and Road & Track. 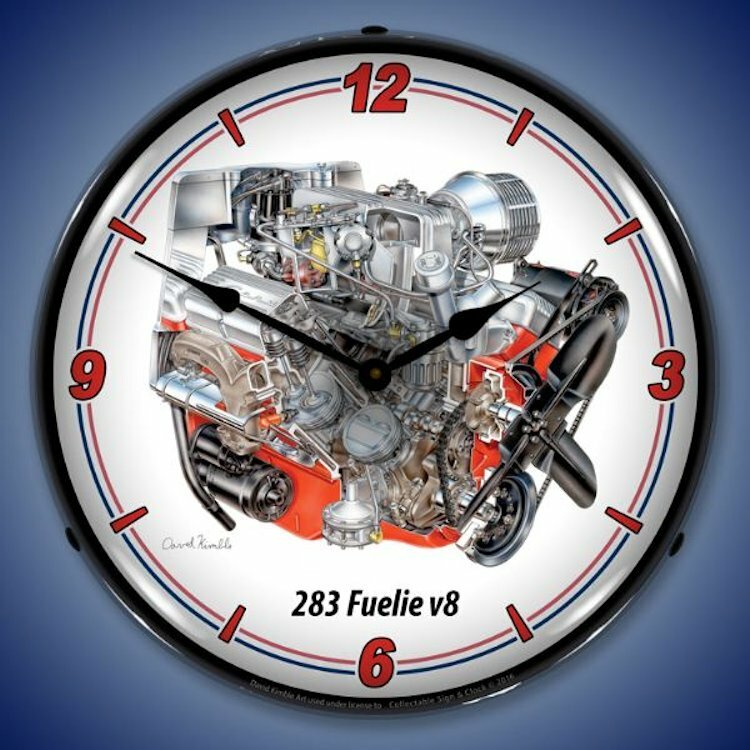 His amazing illustrations are excruciatingly detailed.These lighted wall clocks are clear examples of what Kimble was capable of. 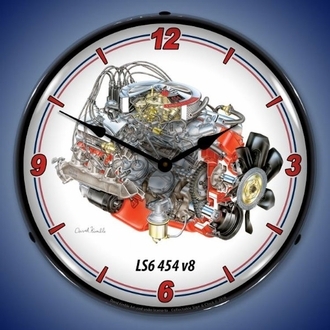 Included are clocks that celebrate the 427 cid L71, one of Chevy�s big blockers, originally designed to power heavier vehicles and medium duty trucks; the LS6 454, phased out of production after the early 70s, but still depended on and maintained by enthusiasts, collectors and body shops; and the 409 with its RPM dual-quad intake manifolds. 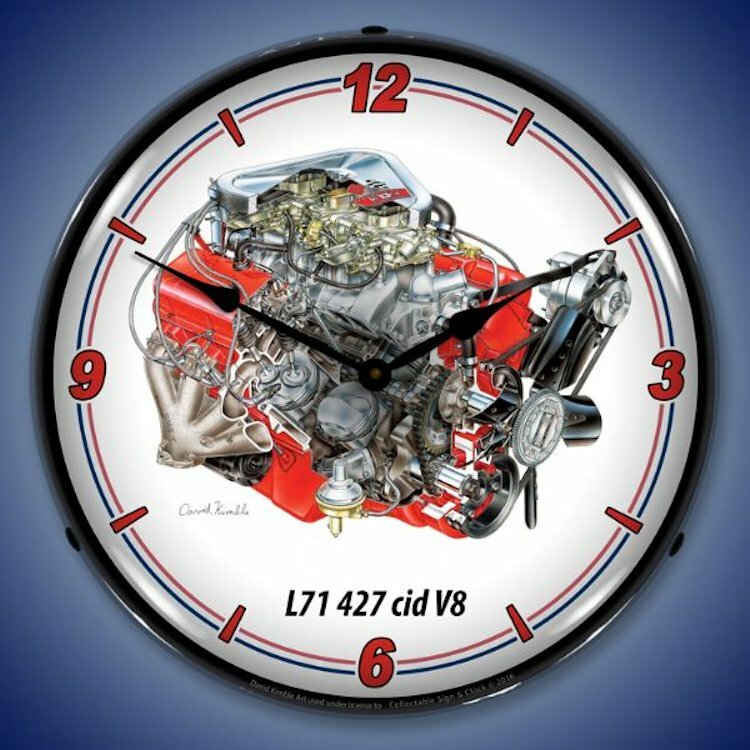 These V8 engine clocks are four inches thick and have an 14 inch width. The shell is engineered from ABS plastic with a clear, high end Lexan outer lens. The classic image was developed using an unique computer controlled UV dried printing system, ensuring the classic face painting stays crisp and bright for years. 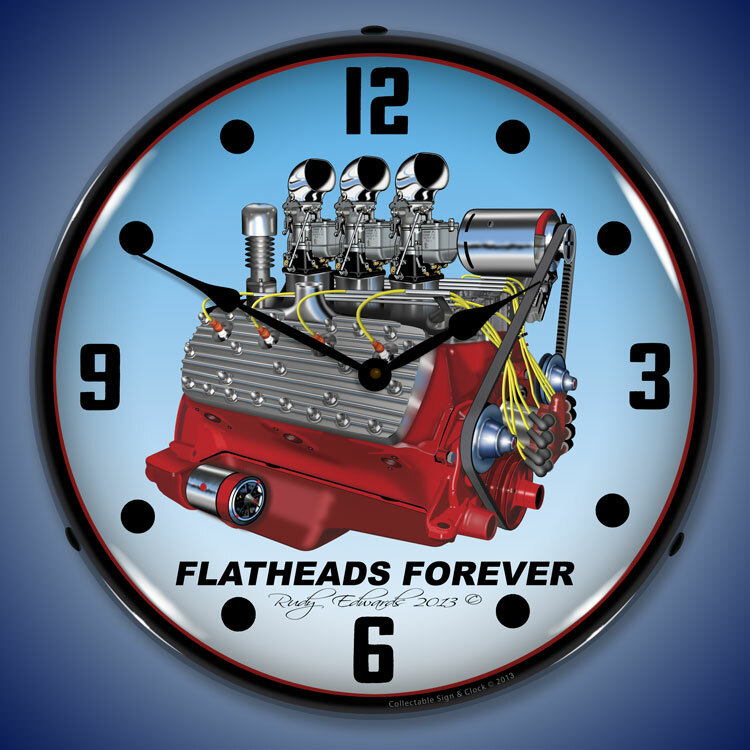 Each clock has a fluorescent light that�s powered by an on/off switch. 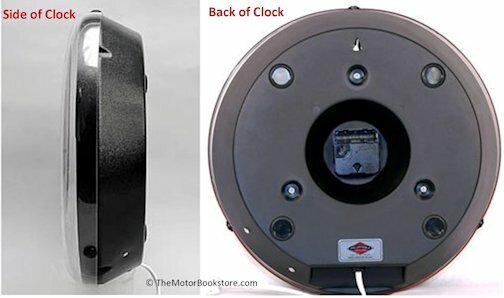 The clocks themselves run on a single AA battery while the light functions via a standard outlet connection. 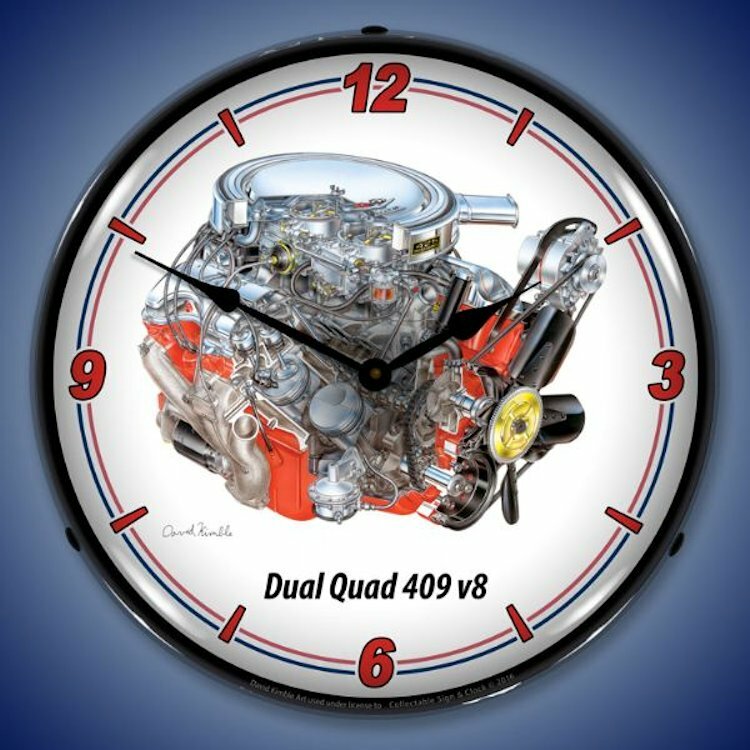 These clocks will make a great gift for anyone that has a man cave or auto shop, that likes to tinker in or hang with their peeps in the garage, or that simply has a genuine fondness for memorabilia that reminds them what amazing machines cars really are. 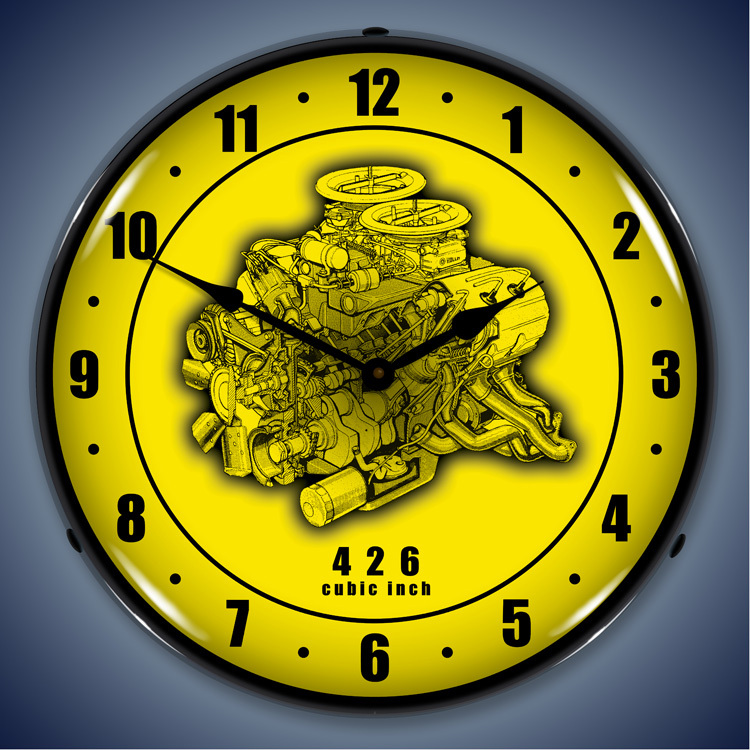 Affordable and bright, the V8 engine clock will make a great addition to any room.